I'm the kind of musician who thrives when I have a nice practice space. 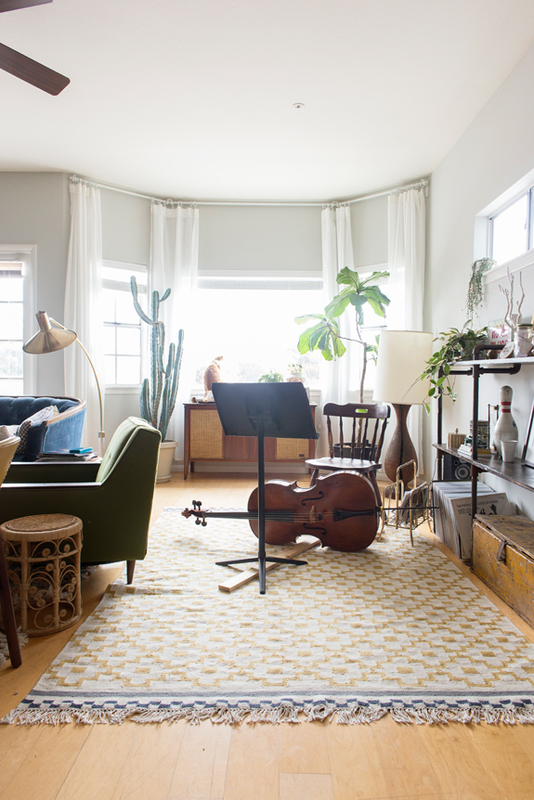 Natural light, a nice sounding room, privacy - I feel so grateful that I'm able to practice at home in my current apartment. 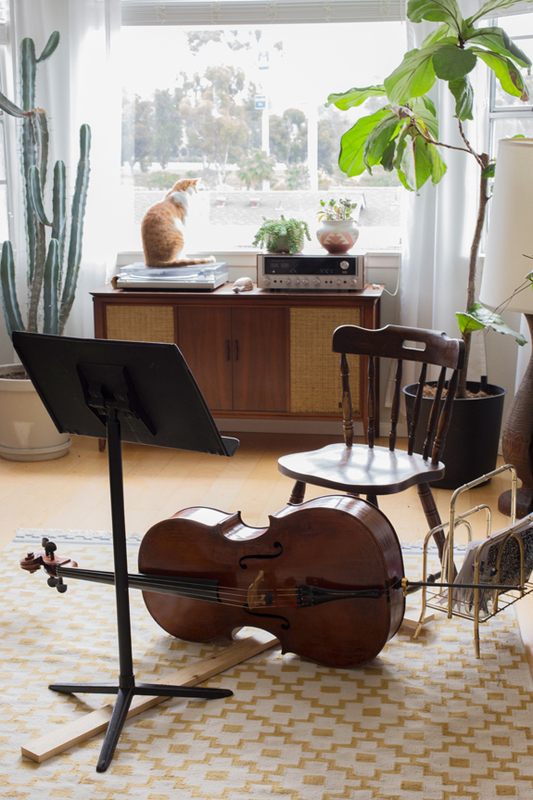 It's not always possibly to access a bright and beautiful practice space, but as a cellist, a few key features in my practice space make all the difference. 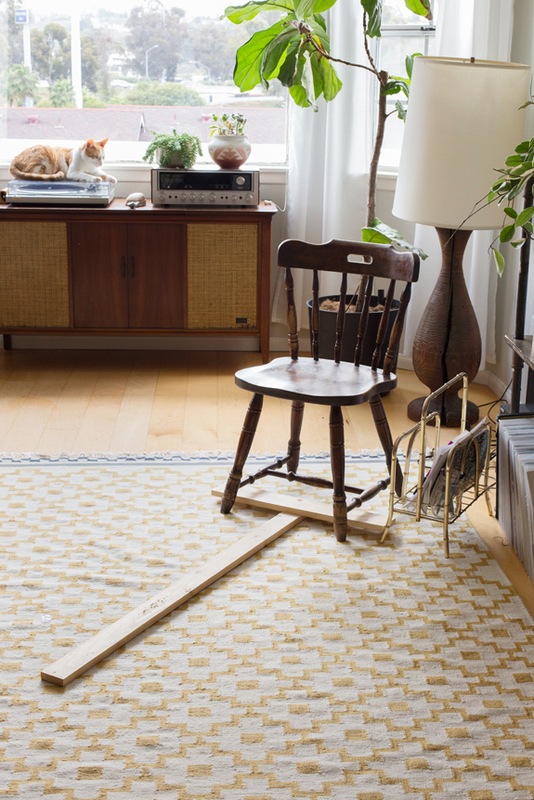 First and foremost is my Cello T. Making a Cello T is extremely easy, inexpensive, and a far better solution than a rock stop or chair strap if you need to protect floors from your endpin. 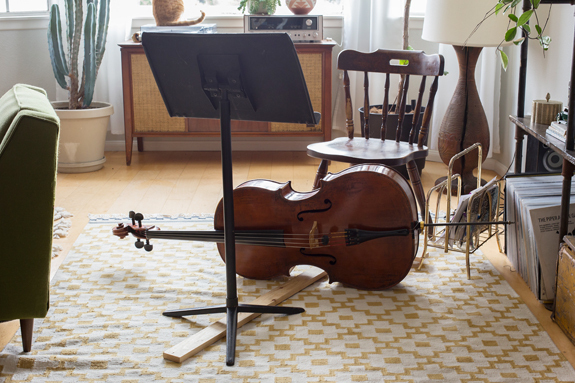 Using a Cello T means no slipping, and it's infinitely adjustable in all directions. Next is a set of nice speakers I can connect to my laptop. 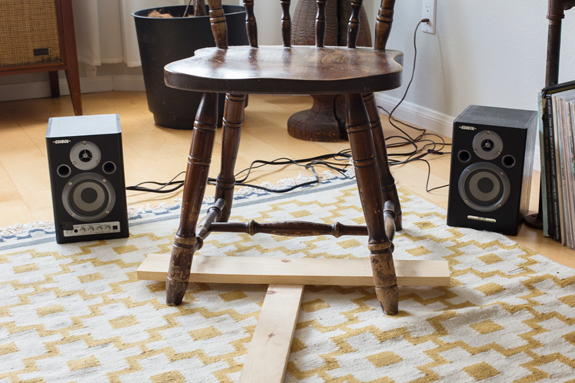 There're not as nice as speakers I would ever use for performance, but I can use them for drone practicing or to practice any music for cello and electronics. Let's be honest, having them easily accessible means I actually do those kinds of practicing consistently! 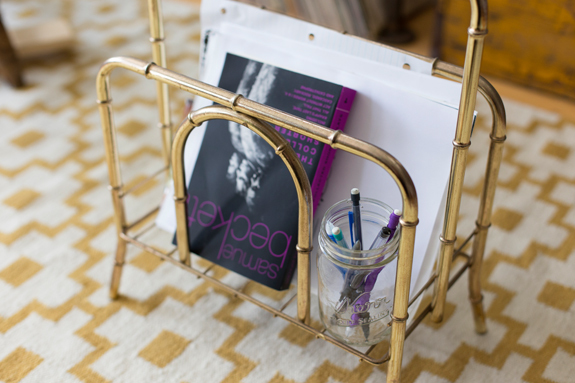 The tiniest, and possibly most simple, luxury is a little magazine caddy I use to store any music I'm not working on immediately. It keeps my music stand nice and clear and helps me organize for upcoming concerts. A little jar for pencils means I'm never hunting for one during a practice session. Rather than fight little inconveniences, it's so rewarding to take the time to set up a space that makes practicing as easy as possible. 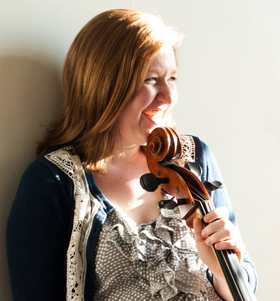 If you have any must-have practice set-up tips (for any instrument) do tell! Share them in the comments below!